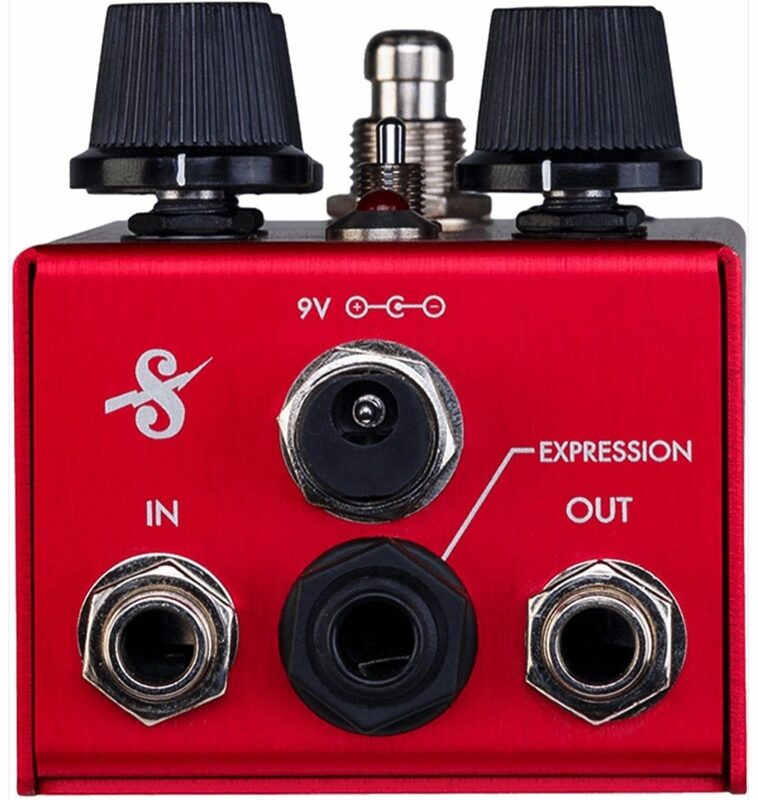 The Supro Analog Delay Pedal is a premium analog echo pedal that delivers up to 600ms of buttery vintage delay. 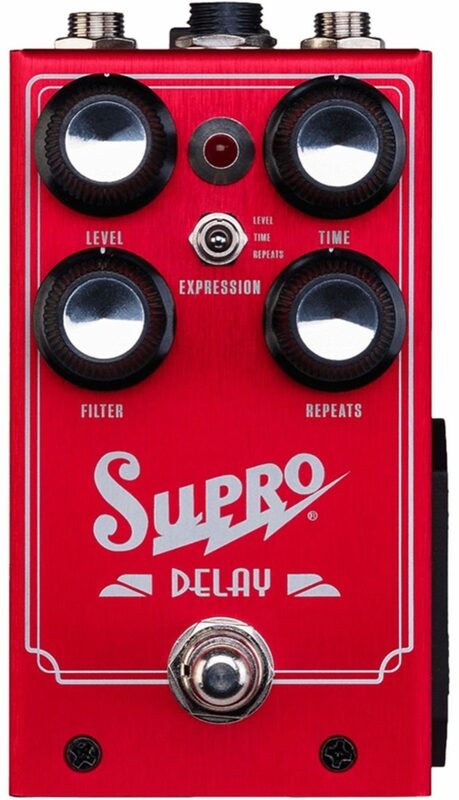 In addition to TIME, REPEATS and LEVEL knobs, the Supro Delay features a unique FILTER control that provides both low-pass and band-pass functions on a single knob. Using a pair of new-production, MN3005 “bucket brigade” IC chips, the Supro Delay achieves the best signal-to-noise ratio and the most headroom available from any analog echo pedal, new or vintage. Drawing inspiration from the golden era of analog pedals, the Supro delay was designed by Howard Davis, mastermind behind the legendary late 1970’s EHX Deluxe Memory Man. The original Panasonic MN3005 BBD chips used in these vintage analog delay pedals have been out of production for decades. Far superior in fidelity to the lower-voltage MN32XX series chips more commonly used in modern stompboxes, these high-voltage bucket brigade IC chips provide the longest possible delay time in an analog unit as well as the best headroom due to their robust 15V power rails. Housed in a custom-made anodized aluminum chassis, the Supro Delay features soft-touch, click-free true bypass switching, so no footswitch noise creeps into your delay line. The Supro delay runs on standard 9VDC power, using internal voltage-doubling to provide world-class performance from a compact stompbox. Taking the analog delay pedal platform one step further, Supro Delay offers an Expression port for assignable control of the TIME, REPEATS or LEVEL knobs using a standard TRS expression pedal."